This Campaign is only open to legal residents of Australia aged 18 or over, excluding employees of the Promoter, their families, agents or anyone else professionally connected with this Campaign. Campaign Period: This Campaign will run from the 27.10 at 07:00 AEST and will continue until further notice. The Promoter will give 2 weeks’ notice before the end of the Promotion. Confirm that you accept these terms and conditions. Choose the character that you child wants to be from: Bear, Wolf, Forester, Fox, Unicorn, Ogre, Elf, Gnome, Yeti, Climber, Scout, Horse, Painter, Dog, Cat, Bee, Ladybug, Butterfly, Farmer, Cowboy, Indian, Zorro, Sheriff, Taxi driver, Businessman, Spy, Doctor, Nurse, Builder, Architect, Cook, Superhero, Dinosaur, Tiger, Snake, Traveller, Gorilla, Lemur, King, Princess, Queen, Firefighter, Clown, Jester, Wizard, Ghost, Knight, Viking, Sailor, Mermaid, Pirate, Singer, Drummer, Guitarist, Violinist, Pianist, DJ, Conductor, Cyborg, Dancer, Mummy, Genie, Aladdin, Pilot, Racing Driver, Astronaut. Submit your picture by clicking ‘Create’ to enter the Campaign. Participants can also voluntarily share their picture on Facebook by pressing the share button. Participants will only be able to share on Facebook. There are no prizes or any remuneration for participation in this Campaign. The image refers to any brand other than the Promoter. By entering the Campaign, participants give their permission for their pictures to be used by the Promoter, without further compensation, for up to one year for promotion purposes. Copyright will remain with the participant. However, by entering this campaign, the participant agrees to the Promoter publishing these pictures on their website and possible further use on their Facebook, Twitter, Instagram or other social media platforms. They also agree to other possible promotional use in media of the Promoter’s choosing without any further payment for up to one year but with appropriate credit given to the original participant. If Participants do not want the Promoter to use their pictures for promotion purposes they can email the Promoter at: lokchin.m@duracell.com. The Promoter and its associated agencies and companies will not be liable for any loss (including, without limitation, indirect, special or consequential loss or loss of profits), expense or damage which is suffered or sustained (whether or not arising from any person’s negligence) in connection with this Campaign, except for any liability which cannot be excluded by law (including personal injury, death and fraud) in which case that liability is limited to the minimum allowable by law. Promoter will not be liable for any usage of the pictures or any fraudulent usage by a third party that had no rights over the picture and/or posting it. If for any reason any aspect of this Campaign is not capable of running as planned, the Promoter may in its sole discretion terminate, modify or suspend the Campaign or delete pictures and disable the relevant URLs as described in clause 6. The Promoter or its agencies will not be responsible for the non-creation of pictures as a result of technical failures or otherwise, including any such failure which is within the control of the Promoter or its agencies. The Promoter accepts no responsibility for system errors or other issues that may result in disruption or lost pictures. This Campaign is in no way sponsored, endorsed or administered by, or associated with, Facebook. Participants understand that they are providing their information to the Promoter and not to Facebook, and that Facebook has no liability for any element of this campaign. By taking part in this Campaign, all participants will be deemed to have accepted and be bound by these terms and conditions. The Promoter’s decision is binding in all matters relating to this Campaign, and no correspondence shall be entered into. These terms and conditions are governed by Australian law and shall be subject to the exclusive jurisdiction of the Australian courts. 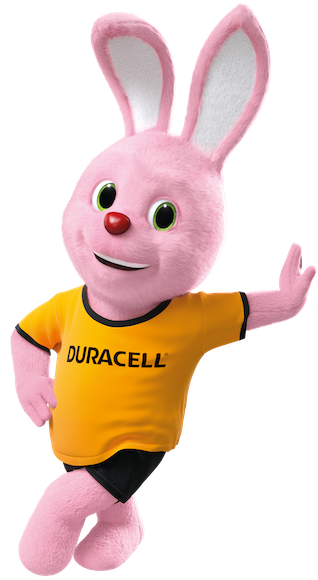 Promoter: The Promoter is Duracell Singapore Pte. Ltd, 11 Buona Vista Drive, #16-08 The Metropolis Tower 2 Singapore, 138589 Singapore.